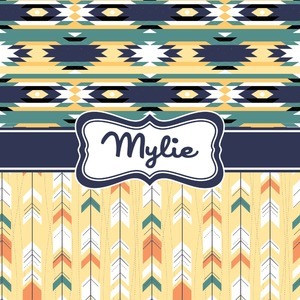 This fun, tribal design features stitched multicolored horizontal stripes on the top, and vertical arrows across the bottom. The two patterns are rather contradicting, but the overall effect is mesmerizing. Add your name in the center ribbon for that really special touch.